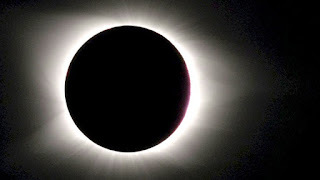 Many people have asked me whether we have the solar eclipse on 15th February in India. I want to clarify the doubt with this post. The answer to the title question is "No". We do NOT have any solar eclipse in India on 15th February 2018. It will not be visible in India. The solar eclipse will only be visible in southern parts of South America. So we should not be bothered about it. The next eclipse, which will be visible in India as well as in many other parts of the world, falls on 27th July 2018.